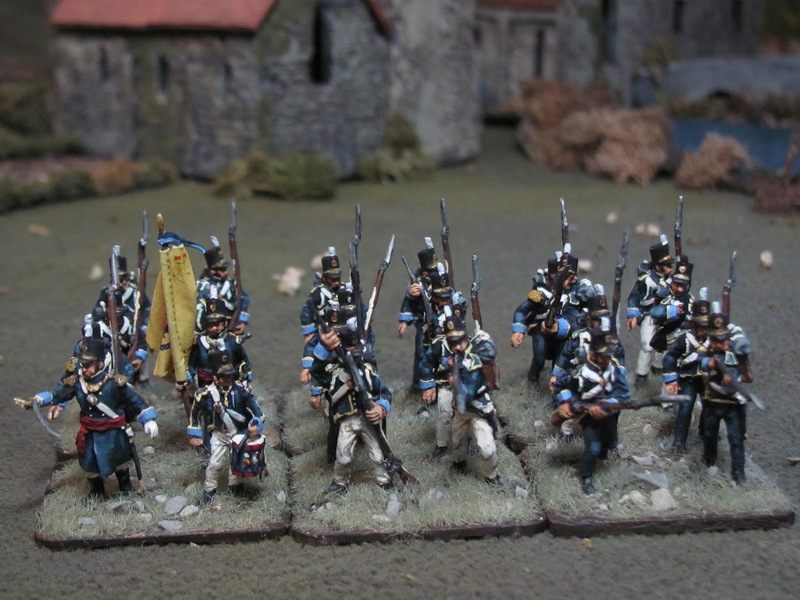 As I mentioned in a previous post here, last February for my birthday I treated myself to a big order of 1/72 Portuguese Napoleonics from Hagen Miniatures. At some point I realized that if I was going to fight my way through the Peninsular battles I would need more than just the French and Spanish armies that I had laboriously built up over the past few years. 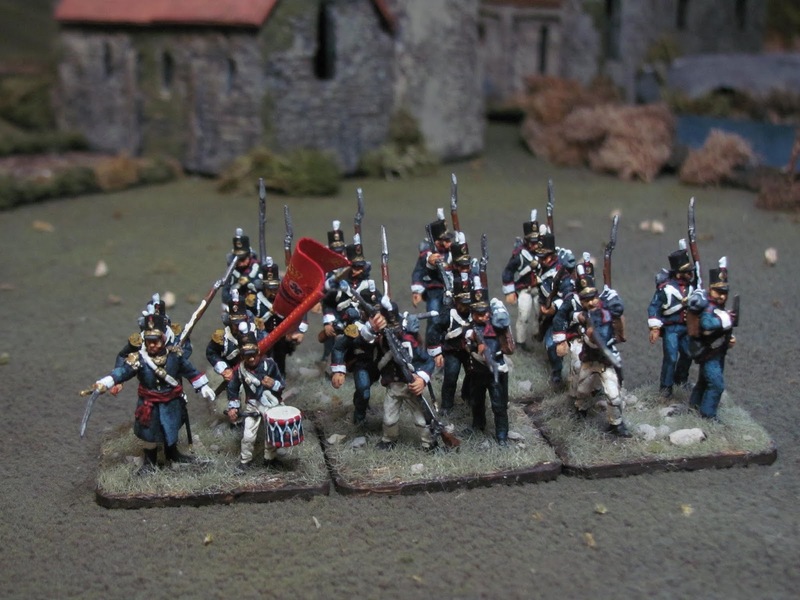 I shared some of those earlier results then but have recently finished painting the lot and thought I would post the final results here, along with the three new infantry brigades I've painted - Chaves (12th), Lagos (2nd) and Freire (4th). Great example of a subject that isn't seen *that* often. Yes I think you definately need the Portugese for the Peninsula, and these look very nice. Excellent painting and perfect shading on some very nice looking figures. I love that long coated officer. And, once again, a fabulous backdrop for your photos. Great figures, but the backdrop is what really makes it stand out! Love it! Thanks all. The backdrop is a corner of my Tudela board, a battle that the Portuguese (of course) weren't present at! Did you really finished your portuguese army? Or do you have still further expansion projects? Very satisfying for you to complete the project - and very satisfying for us to see it! 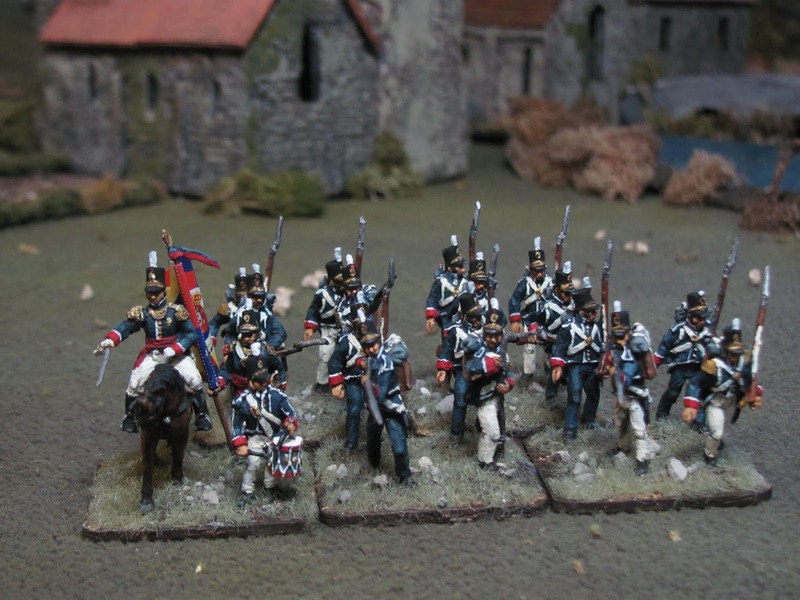 Your cavalry and artillery look particularly impressive on your blog. 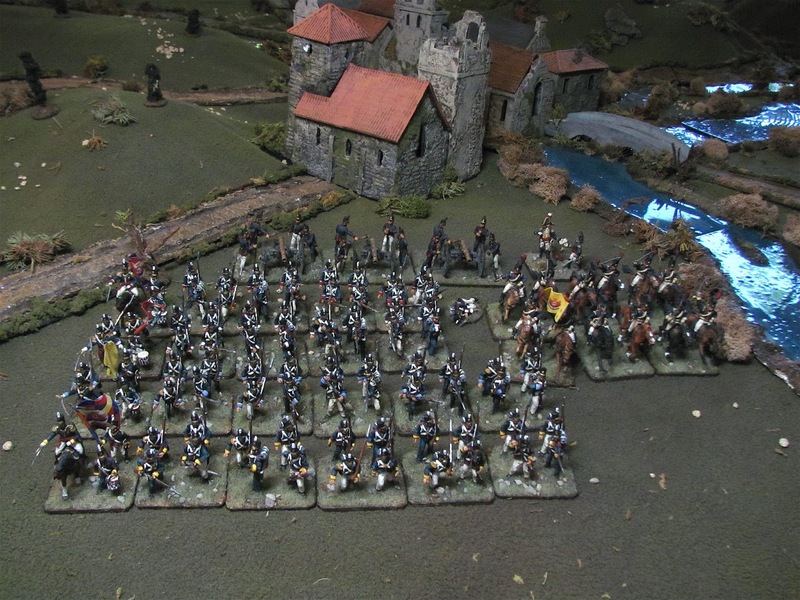 I am a great fan of pictures of completed armies, very inspirational. To add to the joy, these figures are painted in high quality! I like the bases with the rounded off edges by the way. May I ask where you ordered them and what sizes they are for every unit type? Sorry about the delayed response! The bases are homemade, cut from a thick floor tile, corners rounded off. I'm not sure about the sizes - they are the AoEII basing, sized up by 1.5 to accommodate 1/72 scale.